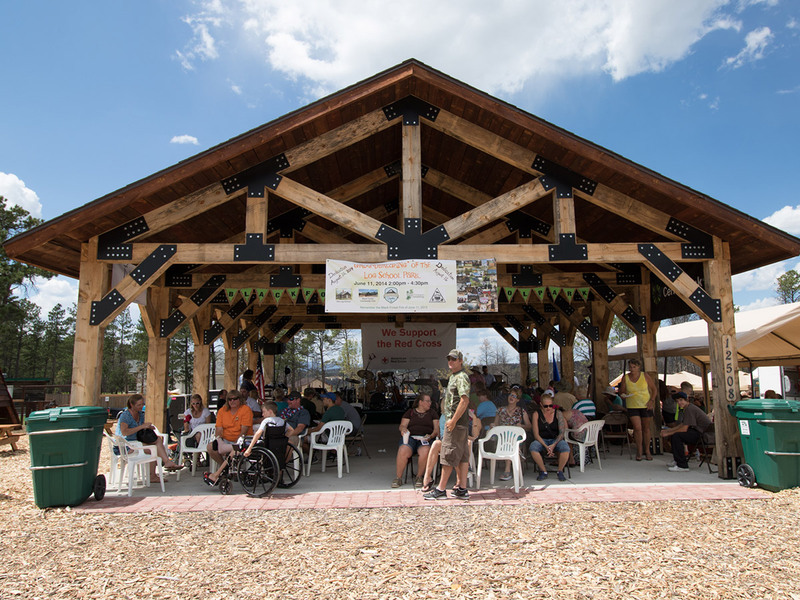 On Saturday, we celebrated the completion of the new Black Forest Park at the intersection of Shoup Road and Black Forest Road. It was a warm, sunny day, and plenty of people came, as we all joined together to remember the impact of the Black Forest Fire. Many people were recognized: fire fighters and first responders, the survivors, and those that did not survive (The Herklotz Family). There were moments of happiness as the strength of our community was recounted, and moments of sadness in recalling the grief and loss the community experienced. Many local officials came, including El Paso County Commissioners Clark, Littleton, and Hisey, as well as U.S. 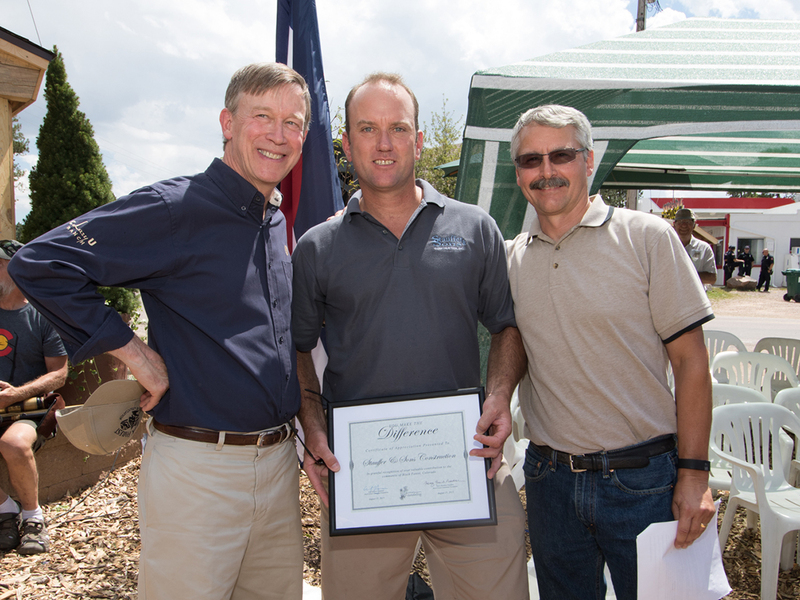 Congressman Doug Lamborn, and Colorado Governor John Hickenlooper. “The Black Forest park was a fun project for us. The timber for the new pavilion was mostly taken from logs donated from Black Forest residents (over 100 trees!) and was milled by a local mill. All posts and beams were pre-cut offsite, then trucked to the job and assembled rapidly like Lincoln Logs. Special thanks go out to Leif Garrison and the team at the Black Forest Community Foundation, the American Red Cross, Governor Hickenlooper, and many other folks who made it all possible. To read more about the history of the park, click here.